At 100 watts per square metre, the 100w electric underfloor heating cable is designed to be a gentle source of floor warming or to be used as a secondary heat source. 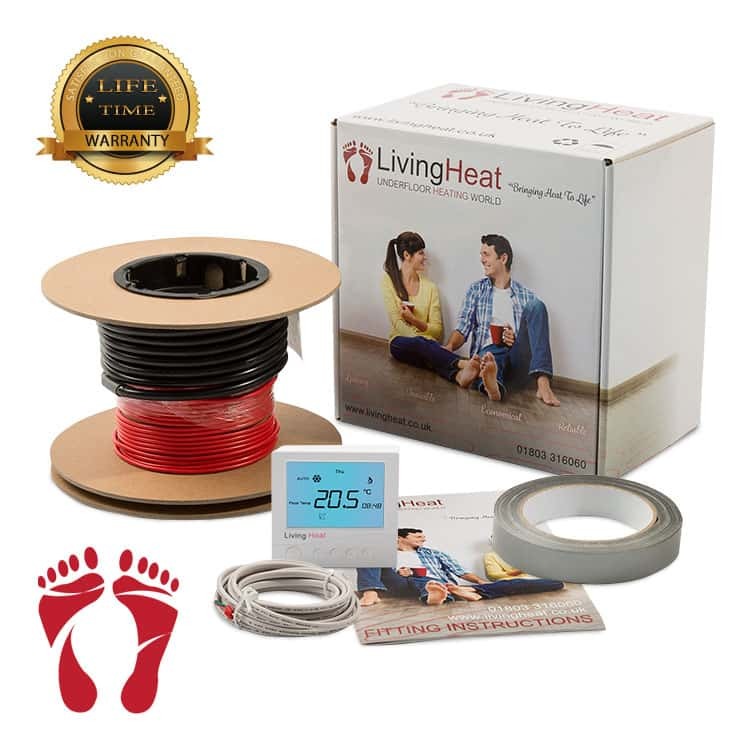 At 150 watts per square meter, the 150w electric underfloor heating cable is designed to be a primary heat source, In most common areas of your home. At 200 watts per square meter, the 200w electric underfloor heating cable is designed to be used as a primary heat source in all area’s including high heat loss areas such as conservatories or out buildings. If you have any questions or require further assistance please do not hesitate to contact ourselves. Our time and advice is free. Please feel free to share our great products with friends and family and let them experience the benifits of underfloor heating. Please use the link below to fill in your warranty.